The Cradlepoint MBR900 mobile broadband 3G/4G N router is built with advanced data throughput management for wired services (Cable, T1, or DSL) as well as mobile broadband, your WiFi network has never been more flexible at such affordable price. The Cradlepoint MBR900 is essentially two routers in one. Ready to be used with an active 3G/4G mobile broadband device, it also supports ethernet-based data connections. Also, with the Cradlepoint MBR900’s built-in failover/failback feature, you can use both wired and wireless together to create a redundant internet connection. When your wired data service is interrupted, within 30 seconds the Cradlepoint MBR900 will automatically connect to an attached active data modem - keeping you connected and online. Once service is restored, the Cradlepoint MBR900 will automatically failback to your primary connection - minimizing the time you’re connected to the data modem. Overall The Cradlepoint MBR900 is the perfect solution to keep your business flowing. Powered by WiPipe™ technology, the Cradlepoint MBR900 includes many features found in expensive, enterprise-class routers at a fraction of the cost with minimal setup and maintenance. No software to load means you’ll be up and running in minutes. The Cradlepoint MBR900 comes standard with top security features like multiple concurrent VPN pass-through sessions, encryption modes including WEP, WPA/WPA2/WPA2Enterprise and a firewall which prevents unauthorized use of your connection. Confidently and securely access the Internet and share your data connection with up to 30 people or devices. 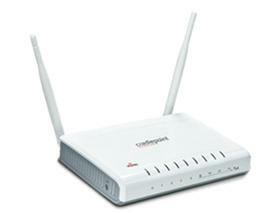 Let’s find out more about this Cradlepoint MBR900 Mobile Broadband 3G/4G N Router here ! I recently was in the market for wireless router to use in extending my Clear WiMax 4G connection to devices that did not support the USB modem I purchased. The USB modem works great for my Windows laptop, but did not work for my older Mac, Wii or Netflix enabled Blu Ray player. I thought about getting the router directly from Clear, but the device they offer had features I didn't need or want to pay for most notably the ability to run on batteries. I received the device about a week after ordering it. It was easy to set up with one major issue, configuring the device for Clear WiMax 4G, which required a call to their support staff to resolve. Right out of the box the MBR900 worked flawlessly as a wired and wireless router using a Pantech UM175 aircard for Internet service. Unfortunately, it quit working after less than 4 weeks. Basically, the router locked up and Cradlepoint's technical service was unable to provide a successful solution. They did offer a RMA and would send me a refurbished unit as a replacement, which I declined. Instead I returned it to Amazon for a full refund. Cradlepoint's tech support seemed knowledgeable via their chat service, but be aware that their service is limited to M - F during the Pacific coast time zone business day until 8PM or so. I was given the option to leave an email request which took five days for a response (including the weekend). There are few routers capable of utilized USB style air cards, so I am disappointed, but inclined to wait until Netgear, Belkin, or Cisco have a comparable product before venturing again. Cradlepoint has the right idea but they may have a few quality control issues to contend with as they become more well known and compete with the larger vendors. 1) A human answered the phone. 2) The phone connection was crystal clear. 3) The people who helped me all spoke english fluently and I could understand them clearly. I'm not saying that in any way to sound mean but when you need help with a complex problem over the phone, good communication is essential. 4) They took the time to understand and help me solve the problem. That kind of tech support is a thing of the past. And the router works perfectly with both wired internet provider and wireless broadband. My router needs to be up 24/7. When there's a problem with my cable internet provider (or the modem), I connect the wireless broadband as a backup. I'm not a techy person, but thank goodness I have sons who are. My son set-up the router for me and for the most part it works well. I'm able to have wireless connectivity throughout my home with access to my home network with no problem. Getting onto the internet is another matter altogether. I'm a Sprint customer and currently have the 3G-4G air card connected to the router. Typically I'm able to have 2-3 bars of signal strength from the air card to the router; when I have that kind of signal strength - internet life is good. On the other hand, we power up the laptop and my network connections say "local access only". For whatever reason the air card isn't responding and the only way to revive it is to turn the router off and on again. After about 5-10 minutes the internet is back up and we're good to go. I'd say it's about 50% of the time that we can get on the internet without having the power down the router - the rest of the time, you might as well not do anything until you've powered down the router. My son has this same router in his home, but with a different Sprint air card and they never have any problems at all (so they tell me). Perhaps my problems aren't so much with the router as they are the air card I'm using. I bought this router to use with an AT&T Shockwave modem (a Sierra AirCard USB 308) when we're on the road in our motorhome. It was necessary to update to the latest firmware using a wired connection before it would recognize the Shockwave, but once that was done, setup was very easy. Minimal documentation (on one large folded sheet of paper) is included, but it told me everything I needed to turn off the user login feature and enable WPA2. Overall, I'm very pleased with this router.